Website Downtime but PMS website is back! We sincerely apologise for the immense downtime that the PMS website had for the past few months, we have now sorted out all technical issues and we are back! 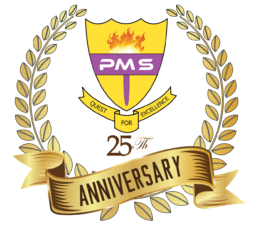 Please look for the new PMS Valedictory Service and Prize-Giving video on our new PMS TV youtube channel. I want 2 say i was in dis school before and dis school has taught me both morally and academically in every aspect i want to thank this school very much for that because i am presently praised in my secondary school because of this school.